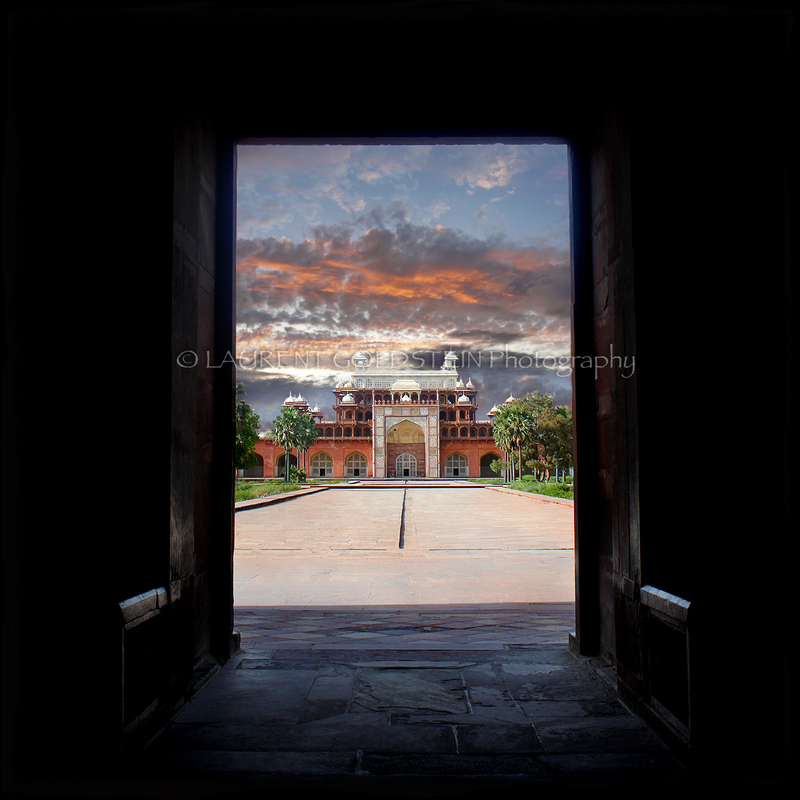 This is a Persian poem on the third Mughal Emperor’s tomb complex’s entrance gate located in Sikandra in the Indian state of Uttar Pradesh from where this picture was shot. This visual metaphor is a reference to paradise. 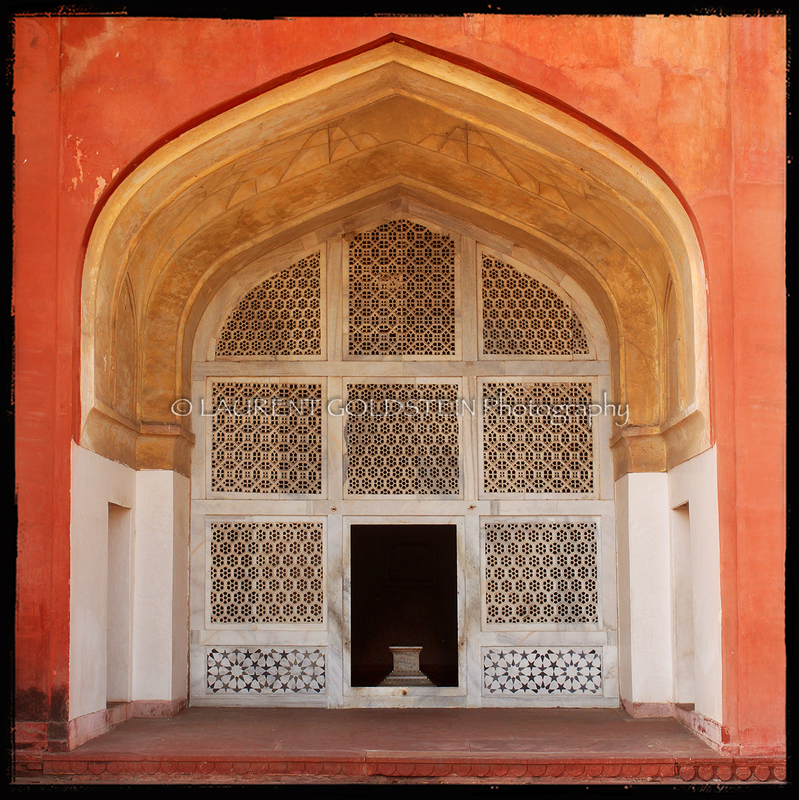 It was designed and written on the north facade, the side facing the tomb, by Abd al-Haqq Shirazi who was later known as Amanat Khan when he became the designer of inscriptions on several major Mughal monuments including the Taj Mahal. 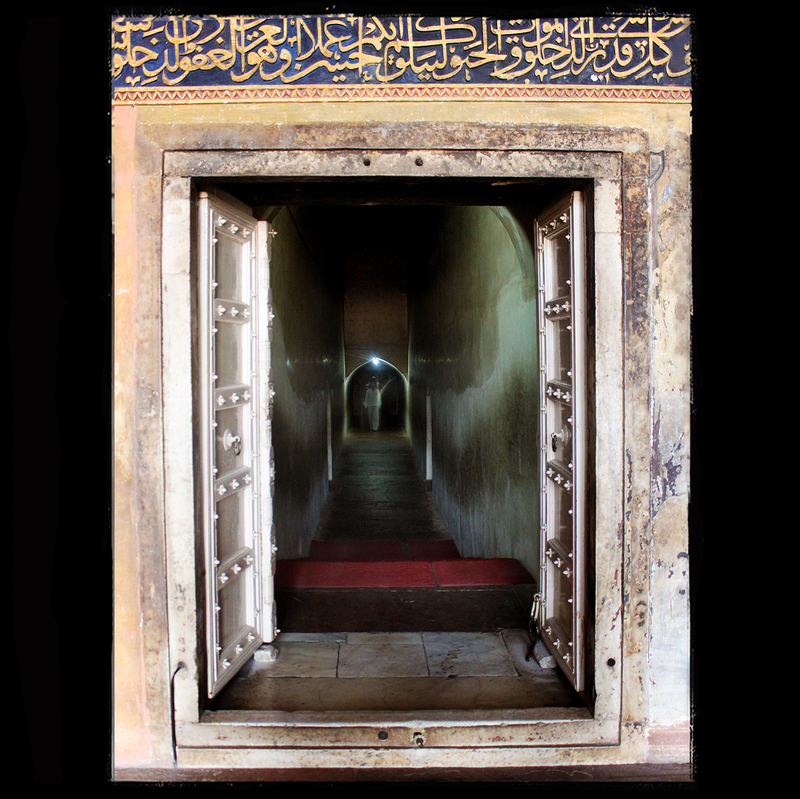 This is one more picture of the third Mughal Emperor’s tomb in Sikandra in the Indian state of Uttar Pradesh. This door shows a long narrow corridor which leads to the basement of the burial chamber where an interior domed chamber contains Akbar the Great’s true sarcophagus. Although this interior was later whitewashed, it is reported that originally it was painted with Christian subjects including angels and the Virgin Mary, however such images were a matter of fashion and not reflection of religious belief. 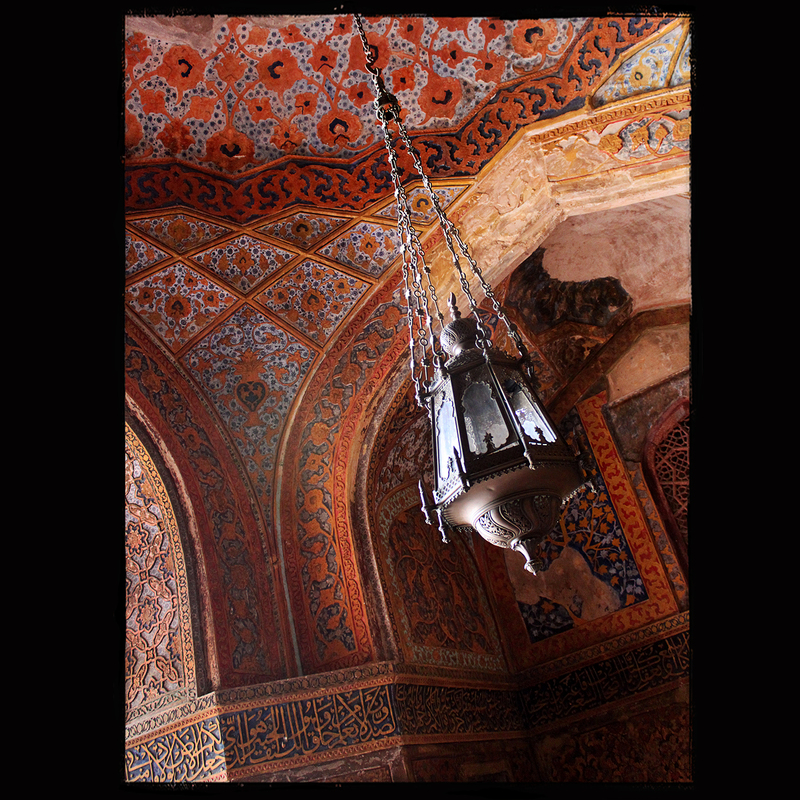 Tow lamps are the only furnitures inside the mausoleum complex of the third Mughal emperor Akbar the Great (1542 – 1605). It is located in Sikandra in the Indian state of Uttar Pradesh. 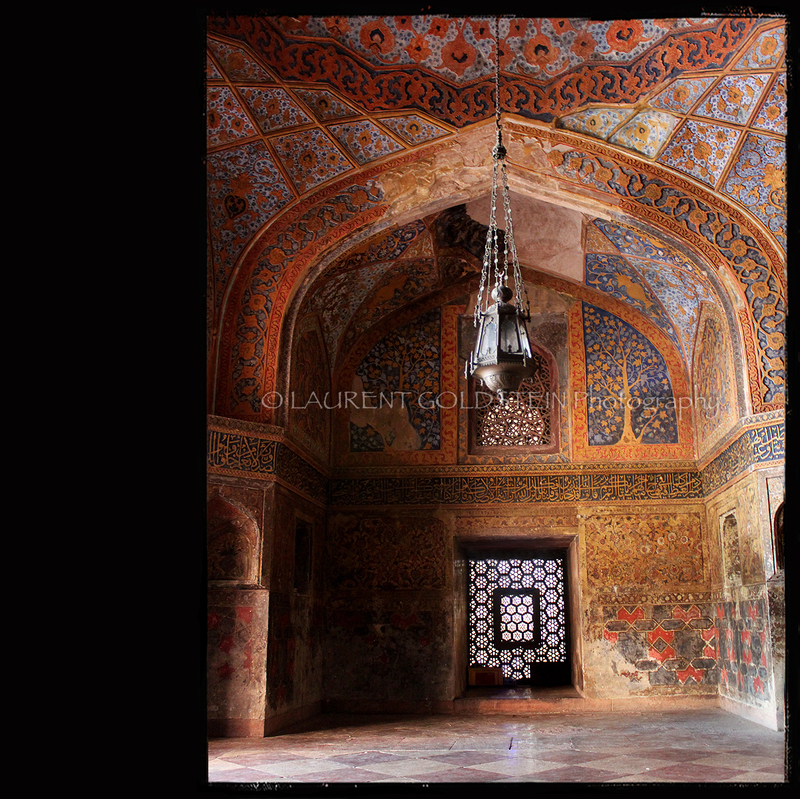 This is the main room leading to emperor Akbar’s burial place inside the mausoleum located in Sikandra in the Indian state of Uttar Pradesh. In the Akbarnāma (the official chronicle of the reign of Akbar the Great, the third Mughal emperor) this monument is mentioned as Behistan or Behistabad which literally means “Abode of Paradise”. “Emperor Akbar: Though I am a beloved father to a kind son, I can’t ignore the duties of an emperor. This Akbar the Great’s cenotaph inside the mausoleum which is located in Sikandra in the Indian state of Uttar Pradesh. Per traditions the true tomb lies below this Mughal architectural masterpiece. “Living is no laughing matter: you must live with great seriousness like a squirrel for example – I mean without looking for something beyond and above living, I mean living must be your whole occupation”. This was shot last Friday at the tomb of Mohammad Ghaus in Gwalior in the central Indian state of Madhya Pradesh. 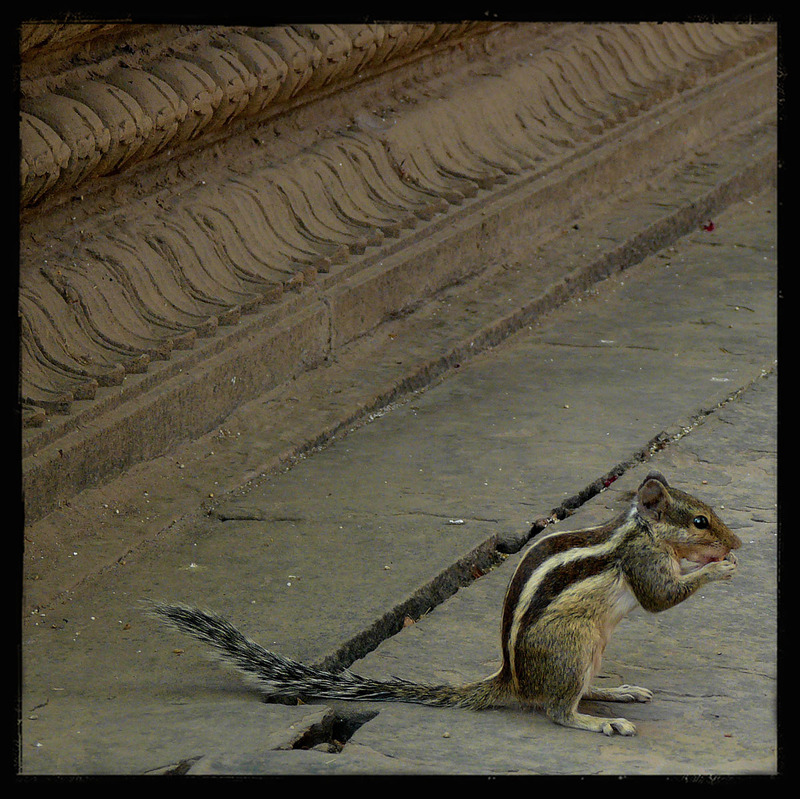 It was before sunset when people came to offer namaaz (prayer) and Ì was standing in front of the Sufi saint mazaar (tomb) which is a pilgrimage centre for both the Hindus and the Muslims when I saw this funny squirrel. “If we had a keen vision of all that is ordinary in human life, it would be like hearing the grass grow or the squirrel’s heart beat, and we should die of that roar which is the other side of silence”. 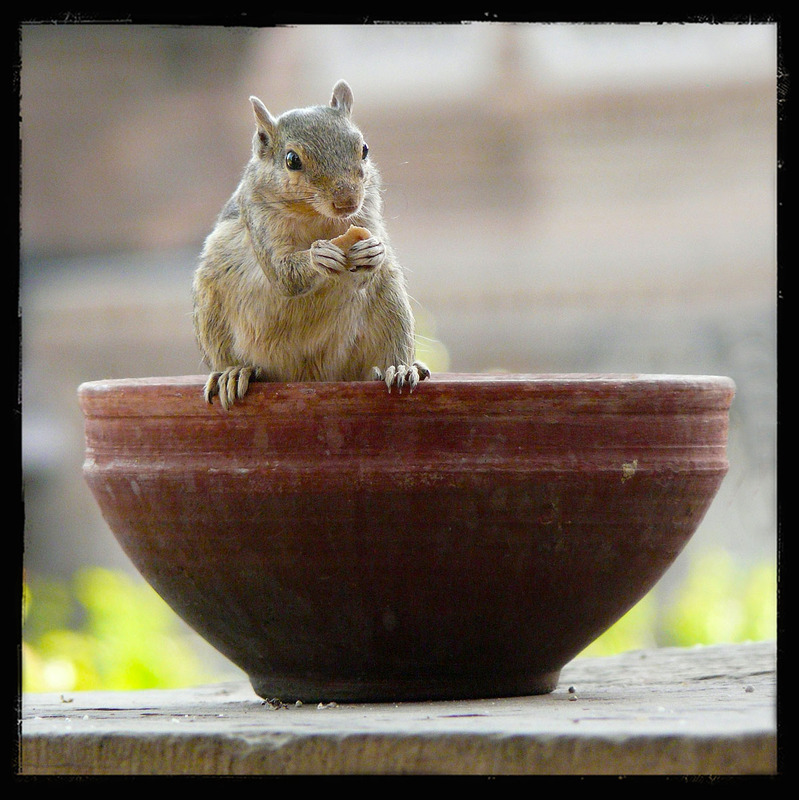 I was sitting on the stairs of the entrance of the Mughal style building of the 16th century and I saw this funny squirrel behaving like a character from an animated cartoon and striking many poses as if it was used to cameras.